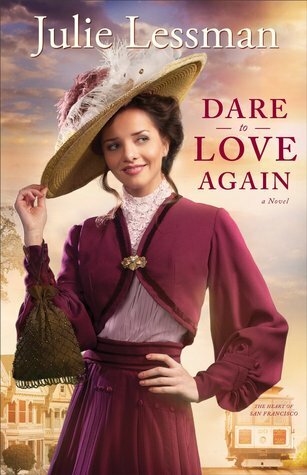 Fans of inspirational historical romance will savor Julie Lessman’s newest novel, Dare to Love Again, the second book in the Heart of San Francisco series, published by Revell. Set in San Francisco in 1903, Dare to Love Again continues the saga of the McClare clan that was launched in Love at Any Cost and, like that book, centers on an upper-class woman recovering from a love affair that ended badly. Wealthy Allison McClare loves teaching school in San Francisco’s rough Barbary Coast neighborhood, a position that gives her something useful to do while taking her mind off her broken engagement and steely determination to avoid falling in love again. Working-class detective Nick Barone, for his part, has no use for the upper classes, especially rich, do-gooder females like Allison. When he’s assigned to protect the school–and its pretty schoolteacher–after she is accosted by thugs, sparks fly on multiple levels. Underneath the constant back-and-forth of sharp barbs and witty banter, these two hurting people are drawn to each other in spite of the walls they’ve built. Their growing romantic attraction is impossible to deny–or resist. But when Nick’s shady past starts to catch up with him, will he turn out to be just another cad willing to break Allison’s heart? Julie Lessman’s rich sensory details carry the reader back to Gilded Age San Francisco and its treacherous Barbary Coast. As in most of her novels, family bonds are important, as is the characters’ faith in God. While readers might wish for lead characters who are less stereotypically “impossibly beautiful” and “ruggedly handsome,” their quick-witted sparring is clever and reminiscent of the golden age of romantic comedy, when characters connected on an intellectual as well as physical-attraction level. Allison’s fierce desire for independence and a career seem a little anachronistic, more 21st-century than Edwardian in outlook, but it’s also understandable in light of her romantic disappointments. Altogether, Dare to Love Again is an enjoyable read, and I’m looking forward to the next book in the series (and hoping it will feature the great San Francisco earthquake of 1904! ).